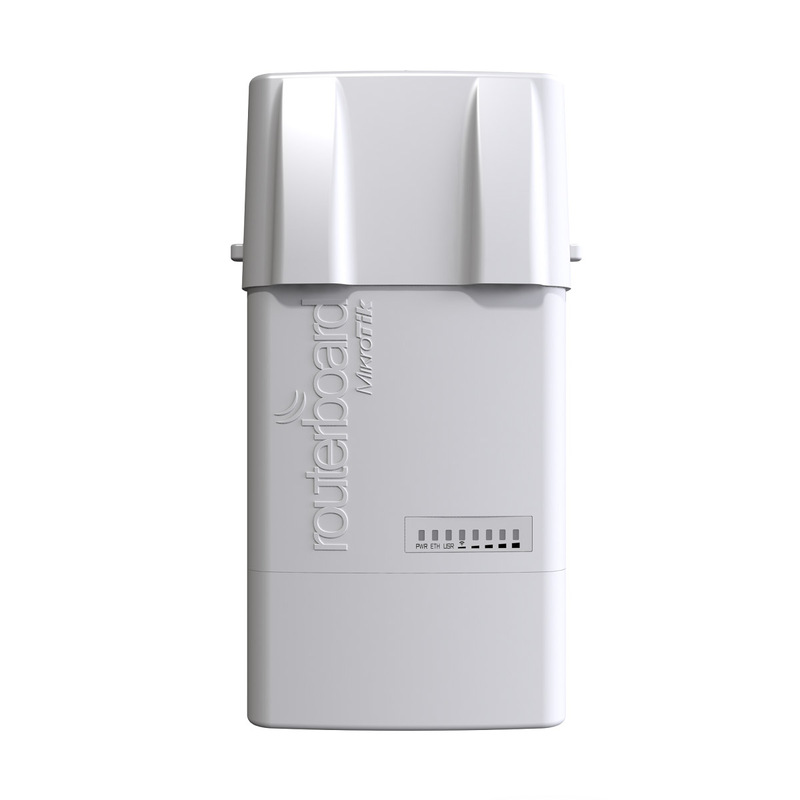 The RB912 in an outdoor enclosure, fit with two RPSMA connectors for antennas, and a cable hood for protection against moisture. 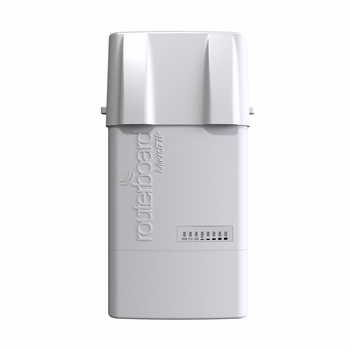 Also available are three additional places for antenna connectors, in case you wish to use the RB912 miniPCIe slot for one more wireless interface to make a dual band device. The case can be opened with one hand, and is protected against the elements. USB, Ethernet and a Grounding wire exits are provided on the bottom, behind a protective door. Comes with a mounting loop for tower/pole mounting, and a separate DIN rail mount is also provided. Package also includes a PoE injector and power supply unit. BaseBox 5 contains: RB912 outdoor unit, PSU, PoE injector, mounting loop, DIN rail mount.